Designer Banded Shades are perfect for homes with any décor style. From contemporary to minimalist designs, our selection of Designer Banded Shades will fit any home’s stylistic and functional needs. 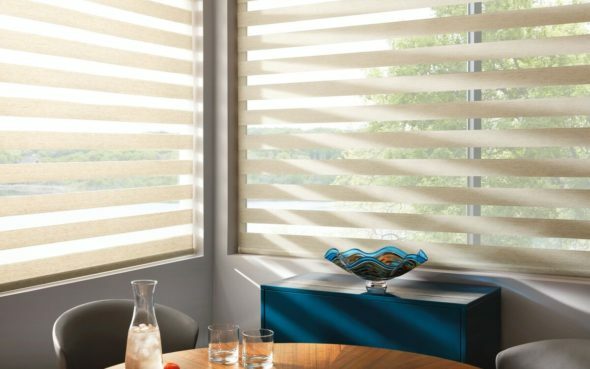 These Banded shades allow homeowners to create a personalized level of sunlight diffusion and privacy, as well as add a striking layer of design to their home’s windows.